The UK true fleet sector recorded growth of 1.4% in July, following a July performance that saw it finish in the red by just 29 registrations. Analysis by Michael Gergen at Dataforce finds the positive result helped to reduce the year-to-date loss to 5.6% – compared to 12.7% in March. Overall, the new car market reached almost 164,000 registrations for July, which equates to a 1.2% rise. The private market scored a marginal growth of 0.1% over July 2017 and special channels increased by 2.8% thanks to the self-registrations at dealerships and manufacturers. Within the true fleet top 10 brands, Volkswagen was in the top spot with a 35.3% rise and a 12.8% market share – the highest since August 2006. This was driven by the Golf, the all-new T-Roc (already in the top 10 for the Small SUV sector) and especially the Tiguan, which achieved an all-time high in market share in July. Vauxhall in second and third and fourth-placed Ford and Mercedes all saw percentage downturns while Audi (fifth, +4.9%) and BMW (sixth, +9.4%) both achieved a more than solid increase but remained in their previous rankings. Nissan retained their seventh position while Seat jumped from 12th to eighth, helped by an impressive 30.8% growth. Finally, Peugeot climbed up the ladder by three positions into rank number 10 behind Kia – the biggest volume growth in absolute figures within Peugeot was not from an SUV but from the 308. 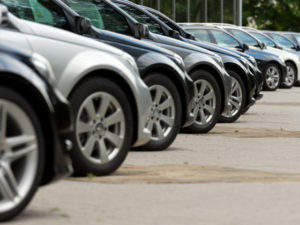 In terms of true fleet segment performance, the biggest absolute rises in July – both by volume and by percentage growth – came unsurprisingly from the Compact and Small SUV sectors respectively. With 22.8% the share of the Compact SUV segment reached a new high. The strongest player in July (and year-to-date as well) was the Nissan Qashqai followed by Volkswagen Tiguan and Ford Kuga. The top 10 also saw two new entries, with the Grandland X from Vauxhall in sixth place and the Karoq from Škoda ranked 10th. Within the Small SUV sector, the best newcomer was the Seat Arona, which jumped into second place behind the Vauxhall Mokka segment leader. 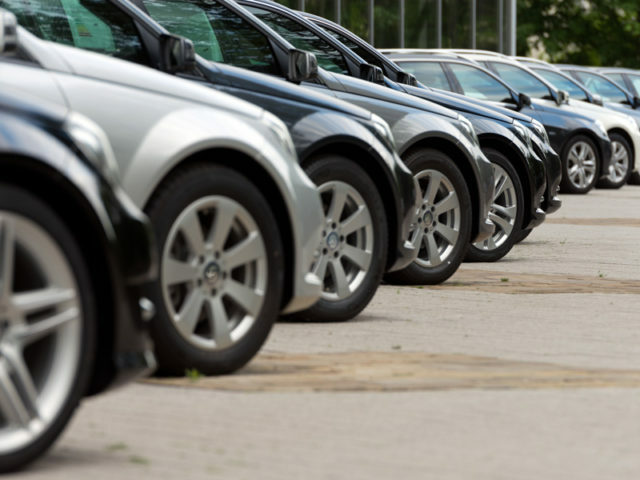 Dataforce also looked at the proportion of carmakers’ true fleet registrations made up of SUVs. At Seat, this was zero two years ago but the introduction of the Ateca and Arona has seen this rise to 37% in July this year. This compares to more than 40% at Vauxhall, and 59% and 63% at Peugeot and Renault respectively. Overall, across the top 25 brands in July, SUVs accounted for 40.9% of true fleet registrations compared to 32.9% in July last year.